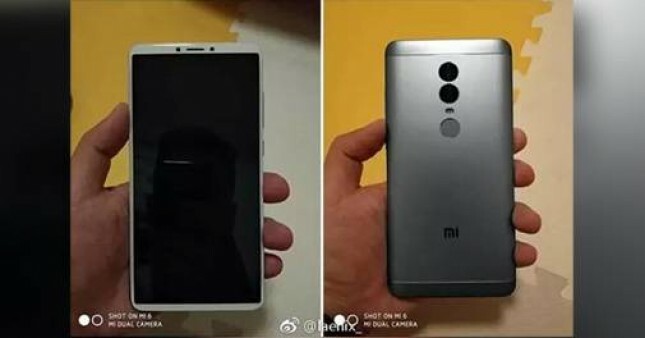 INDUSTRY.co.id - Jakarta - The news circulation leaked Xiaomi Redmi 5 photos circulating in Weibo reveal some facts reliability features of the smartphone. Among them are full-screen features or FullView Display is much raised by the smartphone today. In addition, the selfie camera is also a mainstay of this device. This is quite normal, especially after the popularity of full-screen increasingly rising with the release of iPhoneX. Although Mi MIX has been sliding a year ago, but of course from the side the popularity of Xiaomi still behind the iPhone vendor. Once adopted on high-end devices, it seems the company is planning to bring it to a device with a more affordable price. One of the entry level smartphone that is expected to adopt this type of screen is Xiaomi Redmi 5 which will be released in the near future. Some leaked photos from Xiaomi Redmi 5 have even appeared on the internet on Monday. The leak clearly shows the front area of ​​the device. Looking at the latest leaked photos, Xiaomi Redmi 5 seems to have a very thin display bezel design. This makes this phone look quite attractive and memorable even though the premium in bright colors likes white. Xiaomi Redmi 5 uses a more user-friendly screen design with 18: 9 aspect ratios. The upper and lower screen bezels are very thin, but Xiaomi still leaves space at the top occupied by cameras, speakers and some important sensors such as proximity sensors, camera sensors, and so on.